Cockatoos are admirably a favorite because of the size. Yes, you can easily have the cockatoo right in your hand. The striking color of the cockatoo is a big factor in its beauty. And there are lots of cockatoo varieties. 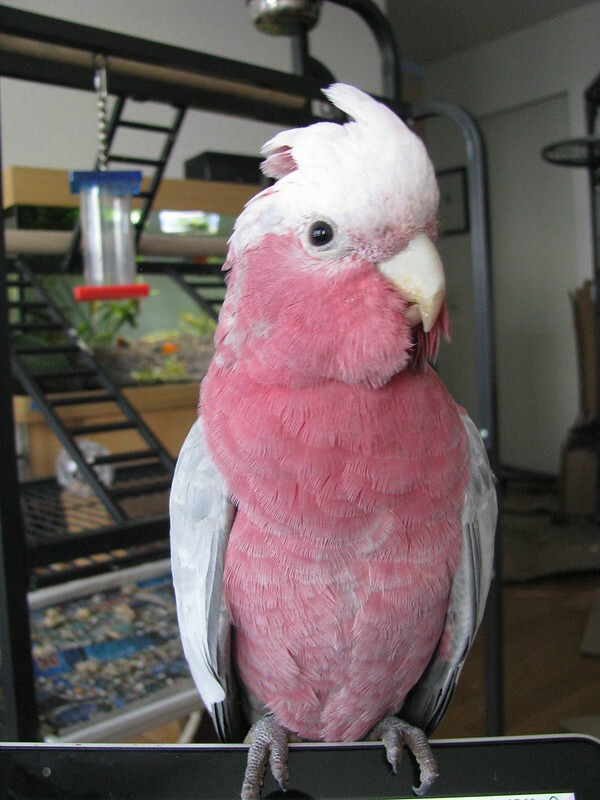 Rose-breasted cockatoo is one of the varieties. This variety is native from the dense forest of Australia. With the rose colors right in the feathers, this variety looks like a striking fire in the middle of the day. Plus, it can talk very well - the best feature dearly loved by most bird enthusiasts. Cockatoos are known to be great, intelligent, amazing and domesticated but the rose-breasted cockatoos are fierce and to the extent, they are almost untameable. Rose-breasted cockatoos are very different from ordinary cockatoos because of its wild habitat and breeding. Rose-breasted cockatoos do bite and you need to be sure that you are properly protected from the bird's bites. Sometimes, the bird just plucks its wings whenever there are people around. However, rose-breasted cockatoos are unique and are smart birds. You can easily teach the bird the right attitude if you just keep the patience to continue the training. Sooner, your birds will grow smart and just fit the best of your pet. The cockatiel needs food that you can consider for the best of your bird. However, it is very important to vary the foods. Variation in foods will raise the appetite of your cockatoo allowing them to grow the right way. As the nature of the bird's fierceness, it is good to consider to give the best patients that you can give. Do not scream or slap the bird when it tries to bite you. You need to make use of the positive reaction to build a positive attitude of your cockatoo.